A natural for bicycle stores. Every time your customer repairs a tube they see your name. All your contact information is right there, making it easy for them to call or find you when they need that wheel trued, or that new set of tires. Kits cost the same or less than those you get from your wholesale distributor, sourced from the same manufacturer as the most popular international brands. Custom labeled patch kits are a great promotional item for handing out at cycling or fitness events. They provide an excellent billboard for promoting your company, brand or organization. A gift that will be used and appreciated. 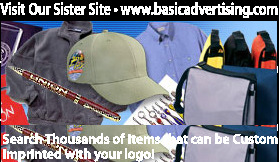 Take a look at our great prices on a full line of tube repair kits with your store logo in full color.